Top Drawer Games started life in the spare bedroom of my house back in early 2015. A web designer by trade, I decided to try my hand at making apps in my spare time. 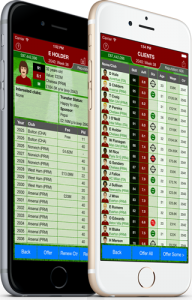 My first effort was a game called Soccer Agent which drew inspiration from the iconic Football Manager series as well as popular iOS titles I admire such as Football Chairman and New Star Soccer. I was pleasantly surprised by the game’s success on launch in November 2015 and a couple of spin-off titles followed (Basketball Agent and Hockey Agent). Buoyed by the success of these apps, I’ve started Top Drawer Games to try and add to a genre I enjoy — sports management sims.